HopeGiver.org.uk - making a real difference in people's lives, and in the community you live. We are a social enterprise established to raise funds for our charity, Missions of Hope, and others. Our work is predominantly focused on alleviating poverty, hunger and homelessness. We work alongside several local organisations, community groups and charities; such as local food banks, and others. We also provide financial help for those in need, and our mission is "to make a real difference in people's lives, and in the community you live, by giving 'A Little Bit of Hope!' to those in need. We work alongside a number of organisations, community groups and charities, and aim to help them both in practical ways and with funding. We run a number of campaigns on our website, and you can join us as a HopeGiver to help us with our work in general. We run two main initiatives - HOPE Community Net and the Household FuelBank in North Wales - and are developing a Virtual FoodBank. We accept referrals from a number of agencies for people who are looking for financial help and support. Last year saw a huge increase in the number of referrals, up from 24 during the whole of 2017 to 574 households in 2018. By March 2019 we have already received 329 referrals! We believe in local people helping local people, which makes Local Giving an ideal platform for us. Our main challenge is raising the funds needed for our work, especially as the need increases. 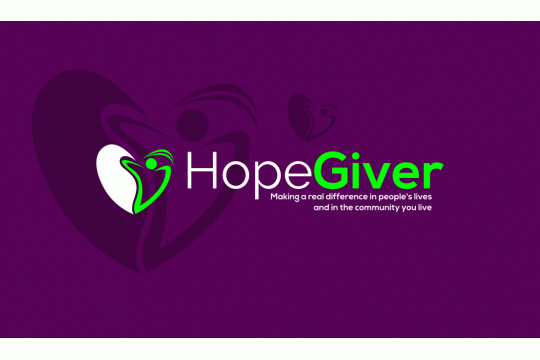 Please do join us as a HopeGiver - and make a real difference in people's lives, and in in the community you live.